The AACTA committee has announced today the nominees for the 8th Annual AACTA Awards held in Sydney in December. The awards are Australia’s highest film and television honour and recognise film, television, and documentary screen craft excellence. We're thrilled to announce our nomination for our work on the Busan Street Chase for Marvel’s Black Panther! 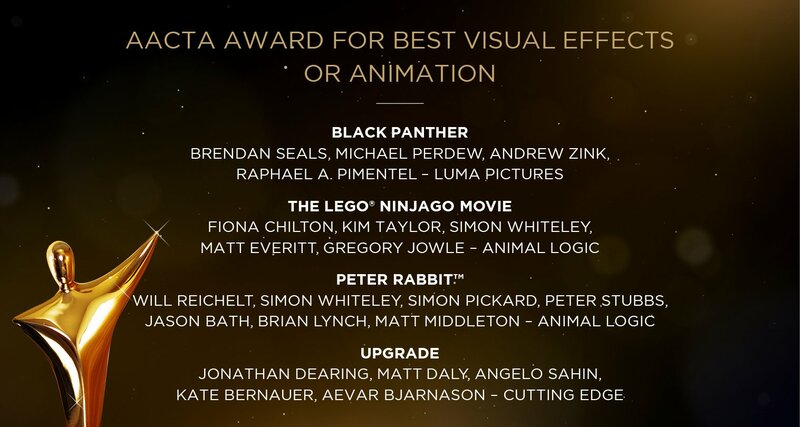 Congrats to all the nominees this year! Click here to see the full list. Head here to learn more about our work Black Panther.